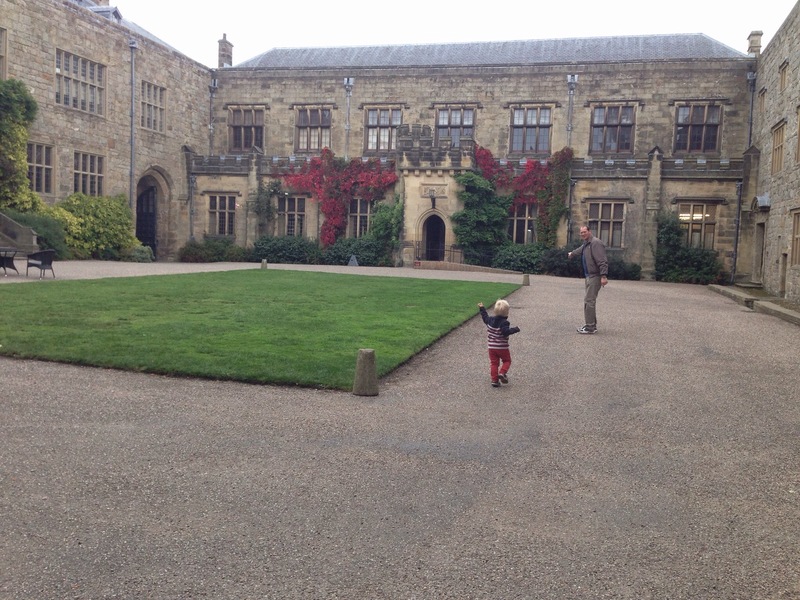 In October we visited Chirk Castle, in Wrexham, North Wales. Do you remember that in October we still had quite warm weather? So that’s why James is wearing sandals! Here is my baby bump as well; I was too pregnant to fly anywhere and we had holiday time booked off work. We spent a week at my parents’ house, and we did some lovely day trips from there, which I’ll share with you. It’s nice to have some sunshine to look back on in the middle of this grotty winter! 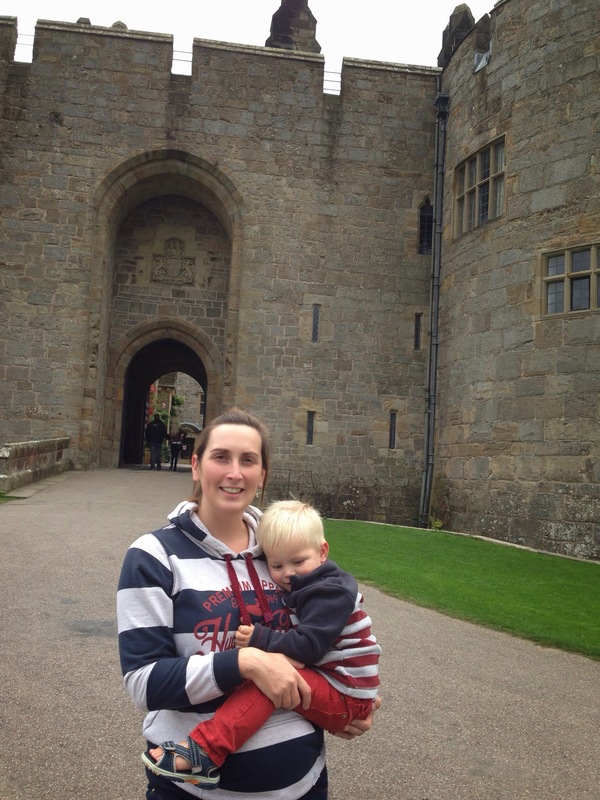 Chirk Castle is a National Trust property, and we took one of the guided tours. If you ever go, try to get a tour with a slim elderly gentleman. He was brilliant, fascinating and didn’t hold back on his enthusiasm. 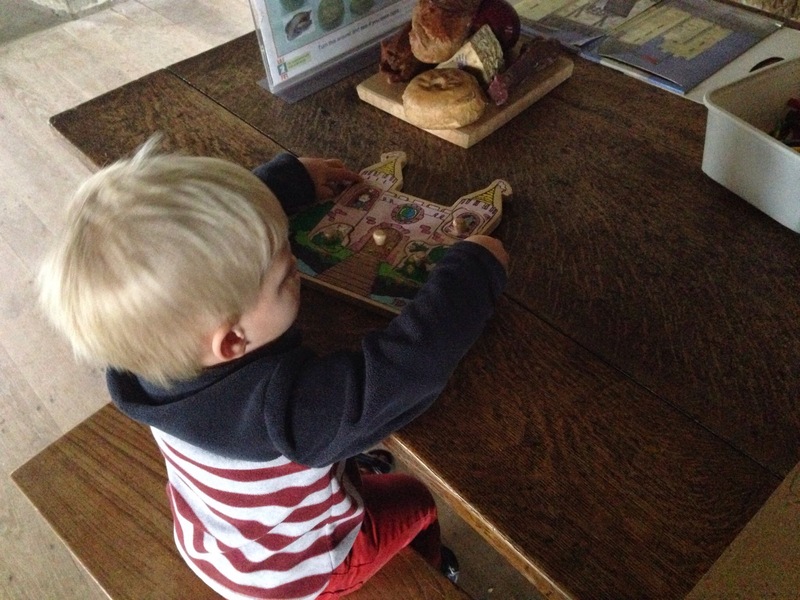 James was entranced, and listened intently for the whole tour. 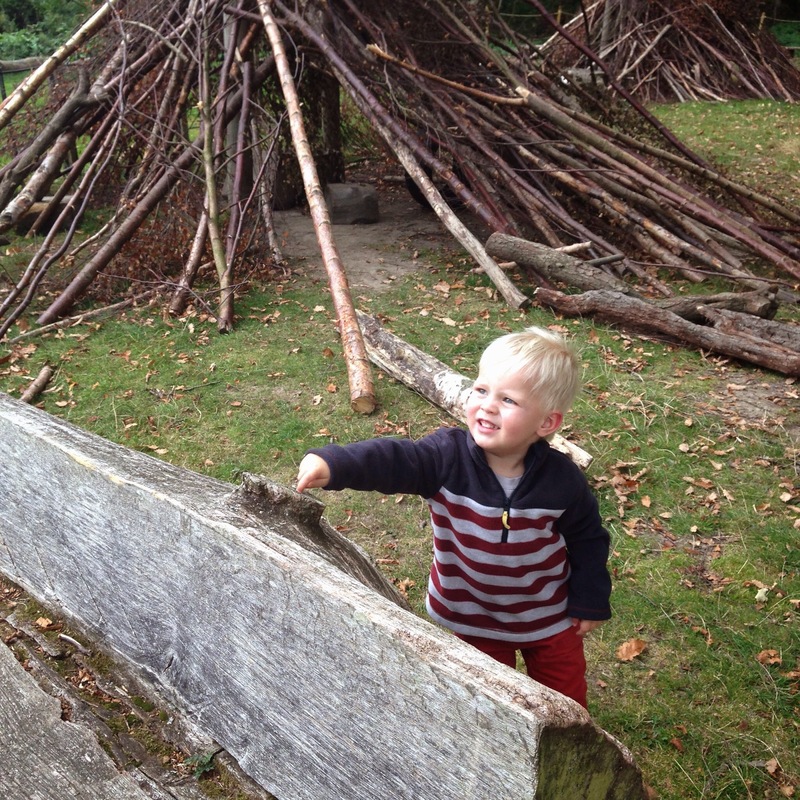 There were some stick houses outside the entrance to the property. James enjoyed running in and out of them. This was the first castle we visited this week. 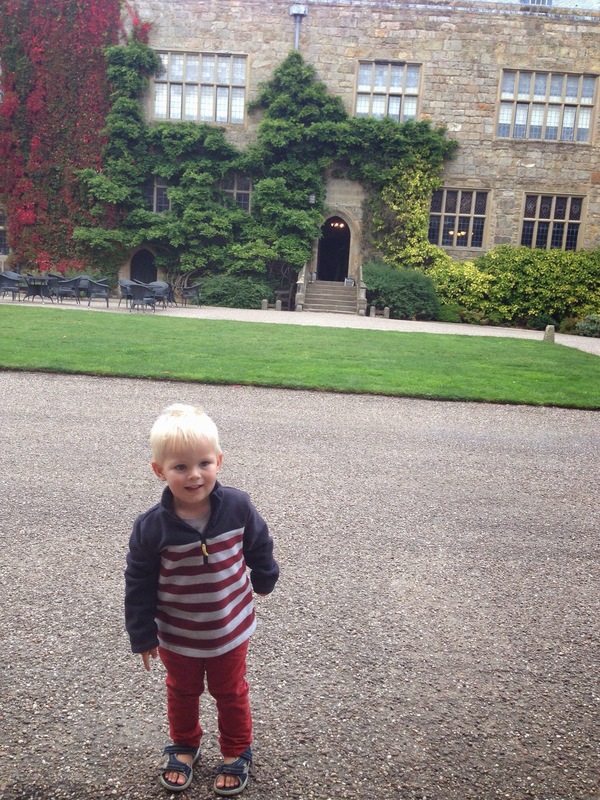 James was sad to discover there were no princesses in the castle, though he made sure we had a good look for one! Inside the castle there is a room with craft activities and wooden puzzles. Rob enjoyed the colouring-in as much as James! I’ve been seeing so many posts about some awesome looking NT properties – I’m really going to have to start making more effort to get out and see them. I actually have family near Chirk and have seen the road sign many times but have never visited. Next time I’m up that way I’ll definitely have to check out the castle! You will! 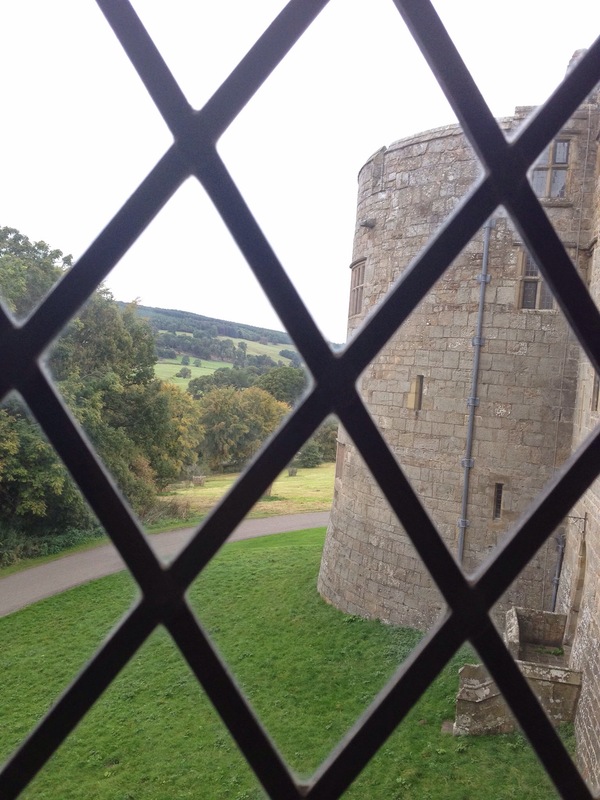 NT properties are always good for a look, and Chirk was lovely. 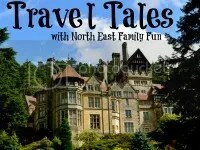 This looks like such a lovely place to visit – I really enjoy trips to castles, and the tour sounds excellent. We always like finding as much as possible out about where we are visiting!